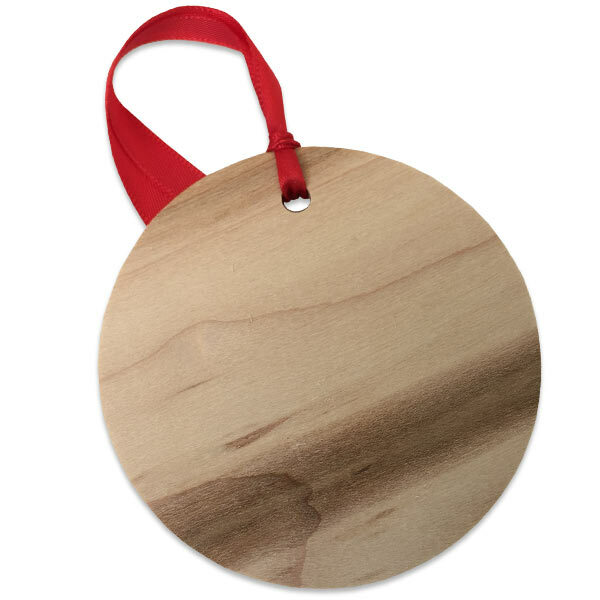 Our round wood ornament is made from quality maple and makes a statement when displayed on your Christmas tree. Select a photo and then choose a template to compliment your holiday decor! 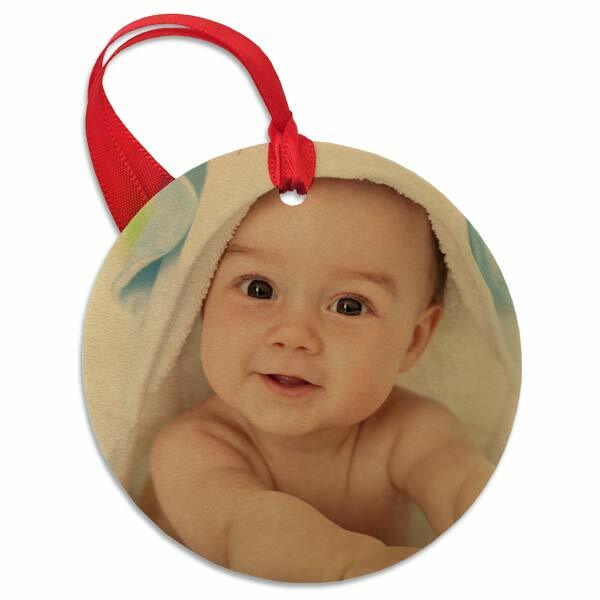 Instead of store bought ornaments, you can now add your own personal touch by showing off your best moments. Our round wooden ornaments are ideal for photos with an outdoorsy theme including hiking pictures, camping photos, and more! Looking for more holiday decor options? Our metal photo ornaments have a classic, vintage look while our glass ornaments are ideal for capturing that shimmering holiday feel! No matter your style, you can find the perfect Christmas ornament to liven up your home this year. Above all, you can design them using photos for a heartwarming touch!